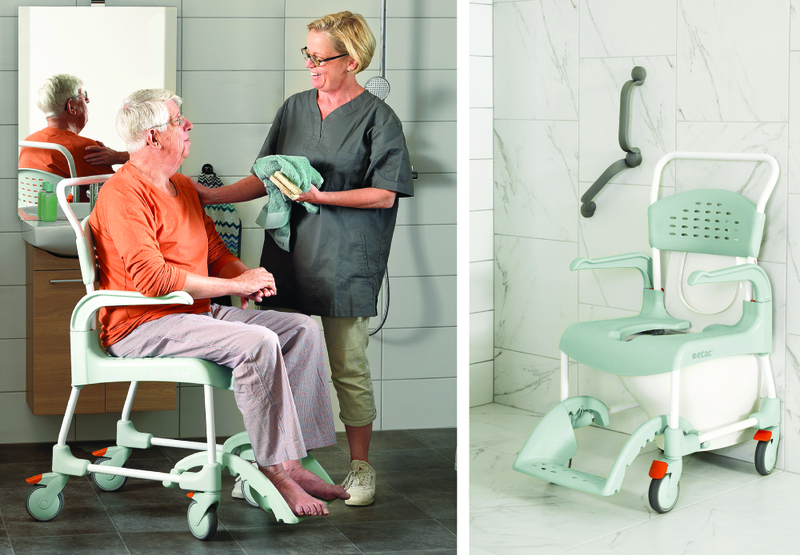 We’re excited to offer the Etac Clean shower commode, the Etac Swift Mobile Tilt shower commode and the Etac Edge triangular shower stool as part of our range. Etac are a world leading developer of ergonomic mobility and showering aids and we believe these additions will provide our Aged Care customers with more showering support options. We know that comfort, safety and hygiene are important considerations for Aged Care carers, and believe these products meet these requirements. Etac has won multiple awards for designing products, which provide greater integrity and dignity for users. We understand that choosing the right commode helps make showering and toileting considerably easier and safer. It is important to find solutions that protect fragile skin, safeguard against infection, prevent injury to both carers and users, and ultimately provide a calm and comfortable showering experience. We think Etac are a great choice and we hope you like these solutions as much as we do. Our Etac products include: Etac® Clean shower commode is an ideal solution for those wanting a secure, safe and simple option for both carers and users. The practical functionality and design create a positive bathroom and showering experience. The commode is easy to operate thanks to the width of the push handle. The upright handle also ensures that the Clean is a perfect fit, even over wall-mounted toilets, and the chair is open at the back to facilitate access. 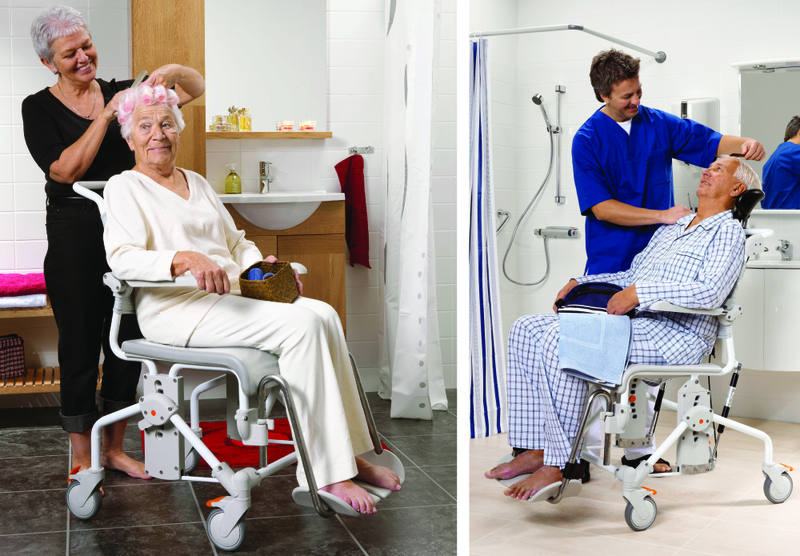 Etac® Swift Mobile Tilt shower commode is designed to make it easier for carers to safety shower individuals. A unique tilt function enables a carer to easily manoeuvre the commode from the side, helping them achieve an ergonomically correct work position and a relaxed, harmonic tilting for the user. The commode is easy to operate and is powered by gas pistons, which work to bring the seat smoothly into an upright position and helps to reduce some of the manual load on carers. Etac® Edge triangular shower stool has a distinctive design, which allows it to fit perfectly in the corner of the shower to provide stability against the wall for the user. The stool can also be utilised the other way around as a saddle seat to relieve the strain on an aching hip.